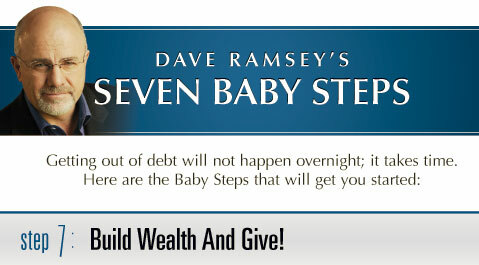 In the last post we talked about Baby Step 6, where Dave Ramsey suggests that you pay off your home early. We looked about both sides of the argument, talking about how a paid off house can give you freedom, and allow you to save, invest and give more. 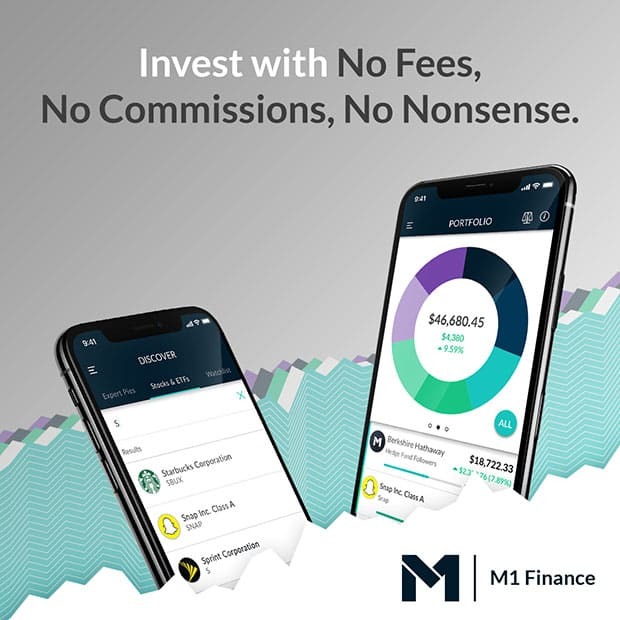 We also talked about how some suggest that it isn't the best way to go, but that you should try investing and making a better return on your money. Ramsey suggests that the positives you get by paying off your house early far outweigh the alternative. In today's post I'll look at the final step of the 7 baby steps – building wealth and giving to others! I think this is one of the most exciting of the baby steps because it allows you to do something for others – using your wealth to help others. Steps 1-6 of the baby steps are focused on getting together your financial life, paying off your debt, planning ahead for the future by saving and investing. In step 7 Ramsey talks about how many people have a mistaken belief that the way to have more is to hold on tightly to what they have. In reality, it doesn't work that way he says. Instead he puts forth the idea that generous people tend to be more prosperous. Why are generous people better off? Giving to others makes you less selfish – and people who are less selfish tend to do better in both relationships – and in wealth building. Dave Ramsey gives the example of the open fist and the closed fist. If you have a closed fist your money is safe and it's not going anywhere. The problem is, you can't take in any new money either. With an open hand when you give – your hand is open already, and you're able to receive blessings – as you give! The idea of holding money with an open hand might seem to violate common sense. We feel that if we don’t hold on tightly to our money and our relationships, they will slip away. I’m not saying literally hold your money with an open hand – it represents our attitude toward money. When you give, you open yourself up. You allow the dollars to leave and the freedom to enter. So when you have paid off all of your debt, and you've been able to save and invest – it's time to start giving as well! Not only will you be giving blessings to others, but you’ll be receiving blessings in return (and not always in a monetary sense). I'm a Christian, and I believe that I'm only a steward of everything I have – it all belongs to God. Psalm 24:1 says “The earth is the Lord’s, and the fullness thereof”. And since the money is all God's it sure makes it easier to give away doesn't it? Giving is good for you! It makes you less selfish, and helps to be more Christ-like. We are happiest when we are serving and giving. Giving helps me to live out my life purpose of helping others. Get Creative When You Give! Help a single mother buy groceries or pay a couple of bills. Volunteer time at your church serving others. Give an extra large tip to a waiter or waitress. Spend time with people at a local nursing home, talking and listening to them, playing music for them or just playing games with them. Pay for someone’s meal behind you in line at the fast food restaurant. Serve meals at a local food shelf, and eat with them when you’re done serving. Give to a local charity. What are some ways that you give? Give us some suggestions in the comments! In baby steps 1-4 we worked towards paying off debt, building up an emergency fund and investing 15-20% of our income. In baby step 5 we look at saving for your children's education. Baby step 5 talks about how if you've taken care of your other priorities first (like saving for your own retirement), you can save up and help pay for your child's education. 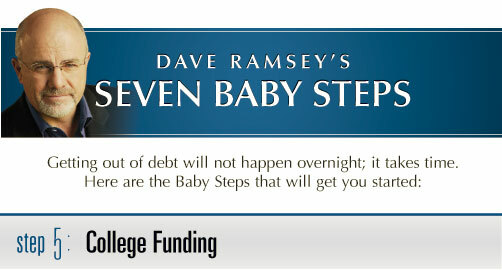 One thing that Dave Ramsey stresses, however is that you don’t have to go into debt for your child to go to college. Once you've taken care of your baby steps 1-4, start saving up a nest egg to help them pay for their education. Beyond saving for their education, also encourage them to take an active part in their own education, get good grades, and help pay for their education through grants, scholarships and other free money. If they're involved in paying for their own education, they'll be more invested in it. Here are some ways that you can save for your kid's college education. Education Savings Account (ESA): You may save $2,000 (after tax) per year, per child that grows tax free! Beneficiary must be under 18 years old. Money must be used for education purposes only. Otherwise, a 10% penalty and taxes will apply. Money must be used or rolled over to a qualifying family member by age 30 or a 10% penalty and taxes will apply. Singles with an income over $110,000 – or married couples with an income over $220,000 are not eligible. 529 Plan: If you do not meet the income limits for an ESA, or if you want to save money above an ESA, you can use a certain kind of 529 plan. You can save up to $12,000 per year, per child in a 529 plan. The money must be used for higher education only. Otherwise, a 10% penalty and taxes will apply to the gains only. UTMA/UGMA Plans: UTMA (or UGMA) stands for Uniform Transfer (Gift) to Minors Act. Not usually as good as the ESA or 529 plans. 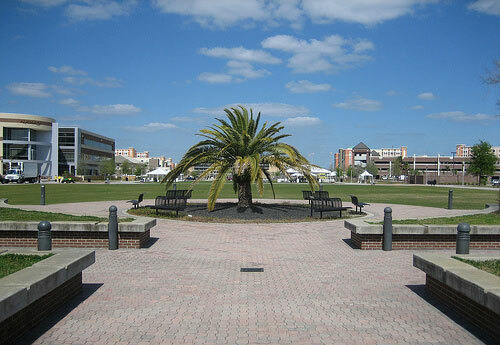 ESAs, 529 Plans and UTMA/UGMA plans are preferred by Ramsey. Should Other Things Come Before Your Kid's College Funding? Providing for your child's education is an emotional topic, and for many people providing for their kid's and their schooling is so important it comes before they have reached baby step 5 in the process. They think that by not funding their child’s education until they have all their debt paid off or retirement funded that somehow they are being self absorbed or that they're harming their child. In my opinion you do more harm if you don't do baby steps 1-4 first. Your kids can always help pay for their own education through grants, scholarships and loans. On the other hand, if you don't get money saved for retirement, and get all your other financial ducks in a row, your child could end up having to support you or pay for your care in the future. You don't want to saddle them with that responsibility do you? Better to get your financial house in order first, and then help where you can. If you can get out of debt, save for retirement and then help pay for their schooling as well – even better! Here's why I believe it's a good idea to get out of debt and save for retirement first. Making sure your retirement is provided for takes a burden off of your children later on. Set a good example for your children by showing them how to properly manage your finances. Having to pay for part of your education helps build character and makes the education mean more. Encouraging them to do well ins school to help pay for their own university training will help promote responsibility. Personally I think that even if you are able to pay for your child’s schooling outright, it’s a good idea to have them participate in paying for their own schooling. They can do that either by saving up for college through after school jobs, getting good grades that lead to grants and scholarships, and by going to in-state schools that cost less. Here's a post on another site talking about these ideas. 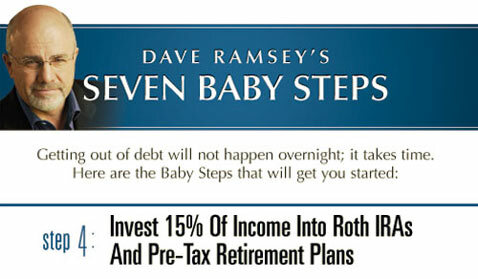 In baby step 5 Dave Ramsey encourages us to take control of our financial lives, and take care of our own debts and retirement savings before helping our children to pay for college. Once we've completed steps 1-4, however, he suggests it's a good idea to help them pay for college by saving money in an ESA, 529 savings plan or a UTMA/UGMA Plan. What’s your opinion of paying for your kid’s college? Are you saving for their college funds? Will they have to pay for part of it themselves? Let us know in the comments. Last time in the baby steps series we looked at baby step 3, saving up 3-6 months of expenses. You never know when you're going to have an unplanned expense like a major medical event or a job loss. It's best to plan ahead and be ready when those things happen, because, they will happen! Today in baby step 4 we want to look at the things you should do once your debt is gone and you've saved up a 3-6 month emergency fund (or more like we have). It's time to invest! Baby step 4 is for me the point in the process where you realize that you've reached the top of the hill, and from now on you'll be coasting downhill saving up for retirement. It's an exciting step in my opinion. You’ve finally paid off your debts (except the house) and built up your big emergency fund, and now it’s time to save in a variety of places to fund your retirement! Ramsey suggest saving 15% of your household income in good solid long term investments. Personally I think 15% is a good starting number – although I would love to save even more! 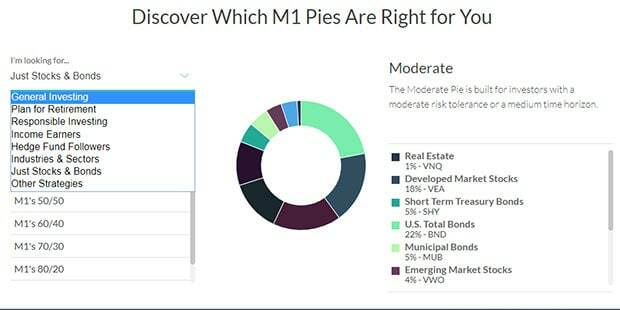 Why Is 15% A Good Number To Invest? When you put in those numbers above, it comes up with a return of well over 1.875 million dollars by the age of 60. If you were to keep it going even for 5 more years until the age of 65, the account would grow to over 2.794 million dollars. That’s not half bad! Ramsey actually suggests that you'll see returns in excess of 10% on your investments. While I don't think it's impossible, I do think that a more realistic number is around 8%. Be conservative in your planning and if your returns are more – great! If you receive a company match in your 401(k), 403(b), or TSP; invest in those plans, up to the match, first. 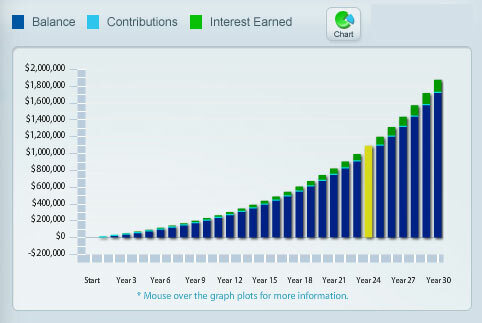 Once your contribution equals the company match, fully fund a Roth IRA for you and your spouse. If you’ve maxed out your contribution to your Roth IRA and still have money to invest, invest the rest in your 401(k), 403(b), or TSP. Roth IRA for you and spouse if you have one. 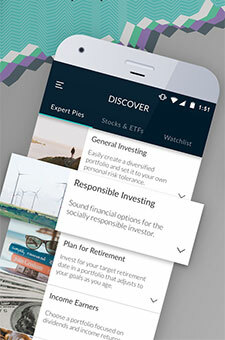 Personally I've been a bit wary of Dave's investing advice as a lot of very smart people have suggested that his strategy of using front end loaded mutual funds means you'll be paying a ton in fees – and your returns won't be more than just investing in a good index fund, or other low cost investments. That may be an argument for another day – but I think we can all agree – that investing 15% or more is a great idea for everyone – the earlier you get started, the better. What do you think about baby step 4 – is 15% be enough for you to save for your retirement? Do you think you should save more or less? Do you have another strategy? Tell us about it in the comments. Historically, the stock market has been the single greatest source of long-term wealth creation. 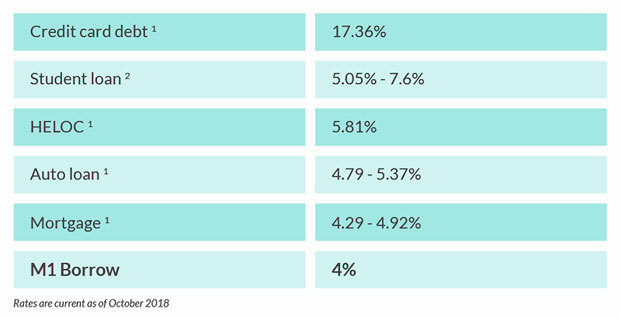 Investing in the stock market has always been a good idea because stocks generate an impressive annualized return even after you factor in inflation. In fact, many good investors have more than doubled their investments over the span of a decade. Still, while the stock market is a great way to build your wealth in 2018, something even more impressive appears to be catching the attention of investors now—digital currencies. The reason for this fresh wave of enthusiasm in an investment asset is because cryptocurrencies are an ingenious idea. Virtual currency uses encryption to make money and to verify a financial transaction. What makes this form of currency different from any other form of currency in the history of civilization is that it is based on blockchain technology, an incorruptible public digital ledger. This technology obviates the need to rely on a centralized banking system. Imagine a spreadsheet that is duplicated and updated regularly over tens of thousands of computers in a computer network and you will have an intuitive grasp of how blockchain works. What's more, not only are investors seeing massive gains over a short period of time, but the technology is getting even better. While Bitcoin, which was invented in 2009, was impressive because it introduced the idea of blockchain technology, it was surpassed by Etherium, which opened up a whole new world of functionality. Now with ICO (initial coin offering) of the XYO network scheduled for March 20th, 2018, this will extend blockwork technology from the Internet to the real world through a Proof of Location network. 1. Tap Into The Wisdom Of Insecurity. Like any investment in an unregulated market, cryptocoins are highly speculative. If you are not diligent in learning everything you can before jumping in, you could easily lose your entire investment. It is far wiser to be under-confident than overconfident. 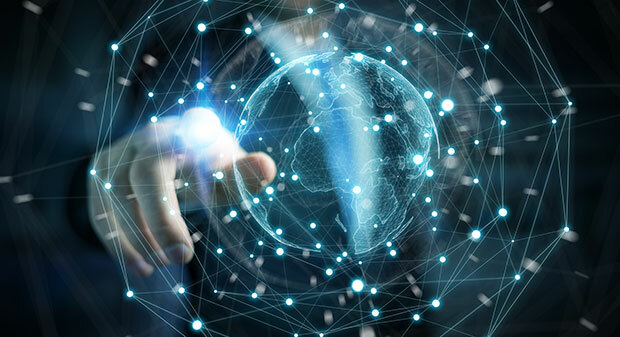 Understand how the blockchain–the distributed ledger system that is the backbone for all digital currencies–works before making any investments. It's easy to get a little too excited by this fast-growing investment and throw caution to the wind. As a result of the collective thrill of becoming early adopters, many people fail to be rational with their investments. They experience the same heady rush that investors in the Dutch Golden Age experienced when tulip bulbs became a highly valued asset. Be aware that it does take some time to learn how the technology works, and it might be beneficial for you to do more than reading up on it and seek out a mentor. 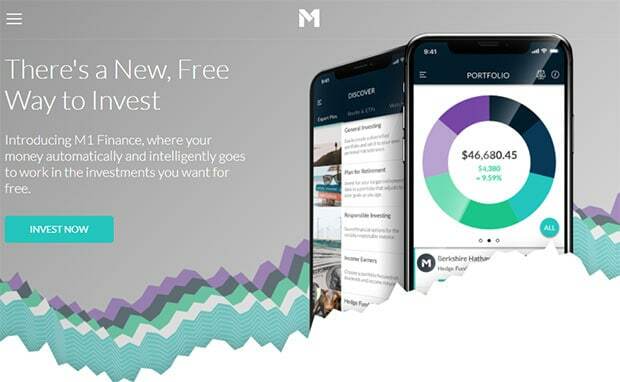 While it is a good idea to find trusted media resources, it's great to be able to ask someone with profound knowledge about the subject, questions that will help you understand the nuances of safe investing strategies. Only invest a small amount of your capital and never invest money that you can't afford to lose. While you might be right in predicting the pattern of a price change, your timing could be wrong. So, don't chase prices and just be aware of when your token has reached the right price. Then, when it has reached the perfect price, avoid buying your assets all at once. Instead, buy in stages. Buy a little, wait and watch, then buy some more. Since a certain type of cryptocurrency that you have been watching will produce impressive gains, it's easy to become over-motivated by a steady trickle of media stories about millionaires and invest all your money in one asset. Bitcoin, for example, has produced many bona fide millionaires and will no doubt produce many more. However, besides investing in a variety of cryptocurrencies like Litecoin, Bitcoin, Ripple, and Ether, you should also consider reducing your risk by continuing to invest in traditional assets like stocks and bonds. In conclusion, if you are thinking of trading in the blockchain, you should proceed with caution, starting with these three guidelines. Just as you would with anything else you might invest in, you need to know what the blockchain is, how it works, and how it benefits businesses. The more you understand, the better your chances of success. Have you set any financial goals for yourself in the new year? Many individuals want to get better with their finances and use the New Year as a starting point for setting goals and accomplishing those dreams. If your money goal happened to be earning more income next year, one option might be to start investing in the stock market. Believe it or not, the stock market, when understood, can generate a lot of income that will continue to work for you if you have a strategy. Before you go through that door and begin investing, there are some basics you’ll want to know as a newbie. The first thing you should know is the basics of the stock market. It is made up of exchanges such as NASDAQ and the New York Stock Exchange. Stocks will be listed under either of the exchanges which is essentially referred to as the market. The exchanges are also how you’ll learn about supply, demand, and price of the stock you’re trading. Individual traders are required to trade through a broker, which in modern times has simply become an online account represented by a broker. Trades are placed through the broker and the broker will then do the transactions on your behalf with the exchange. Trading is done when the exchanges are open which is from 9:30 am to 4 pm Eastern Standard time. It is also good for novice traders to know the stock market holidays 2018 as the trading hours may be subject to change. One thing you’ll need to learn if you’re going to trade stocks successfully is how to talk like the professionals. Trading without a clear understanding of stock terminology could result in higher risks and fewer rewards. Some of the most basic terms include buy, sell, bid, and ask, while some of the more difficult terms include beta, ETFs, trading volume, margins, and moving average. Though you may be working with a broker who does a lot of the work for you, it is still instrumental to understand the terminology when investing in stock. When investing in stock, it is imperative to diversify your portfolio by investing in various companies or products. Putting all your eggs in one basket essentially could lead to a total loss over time. It is imperative to remember that though there can be high rewards, anything could change the tide including poor leadership, regulatory issues, or a health outbreak. By being invested in more than one stock, you can balance out losses easier. As trading can often be ruined by emotions of fear, excitement, and greed, having a strategy in place can help to keep you on the straight and narrow. This includes educating yourself on the current stock market and trends, understanding how much capital you have to trade, setting time out of the day to trade, as well as a plan for minimizing losses. 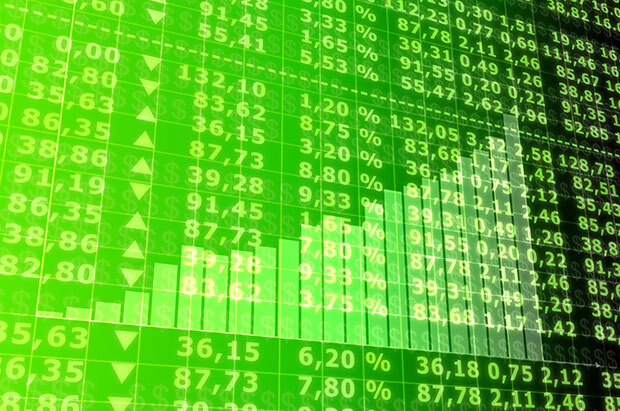 Stock market trading is often regarded as a surefire way to get rich. The truth is, however, it takes time, skill, education, and in some cases luck to actually be successful. 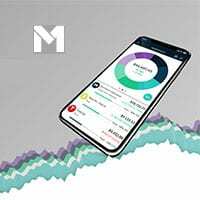 If you’re thinking of investing in the stock market as a money goal for the New Year, take the time now to get educated on the basics and the above-mentioned tips above. The more informed you are, the better prepared you are to make your money work for you ten times over.